I broadcast spread a handful of chia seed on a few bald spots of the rockiest, most nutrient-poor soil imaginable back in April. I never watered them or weeded. Now, in October, at over 10 feet tall, I was beginning to worry that frost would kill them before they had a chance to flower. My fears were unfounded, because the buds and then the flowers seemed to come out of nowhere the third week of October. The bees are all over them and they are only about half way open. I’ll plant a good bit more next year for a late season forage source. Every little bit helps, so why not? 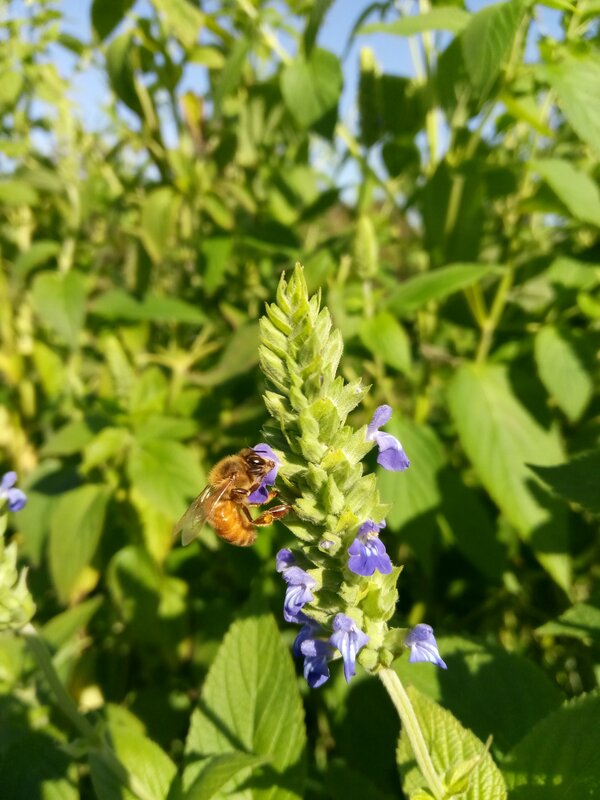 Previous Previous post: What’s your bees’ story?